March 2018 – Zumaya Publications has picked up my science fiction novel “Alien Redemption” for publication in 2018-2019. Huzzah!. February 2017 – my flash fiction piece “Salvation” is one of the features stories at 4 Star Stories for their 2nd Short Short volume. March 2016 – added a new venue for 2016 – Granbury Paranormal Expo! Will be my first time out there. Looking forward to it! January 2016 – My novelette “Charity and Sacrifice” has been accepted by Uncial Press for publication! The 10K word novelette is a Historical/Alternate History story. Should see publication around October 2016! Still working out all the kinks on the new website. Some of the functionality for regular web pages works differently in WordPress. Lots to learn! December 2015 – A transformation is occurring to the website. Moving the pages from HTML to the WordPress engine – this means RESPONSIVE pages! Finally! Woot! October 2015 – The Jewel of the Gods book trailer is complete! You can find it at the Jewel of the Gods page or on Youtube. Woot! August 2015 –Jewel of the Gods is out! I even have my page up, the puzzle page, and the sample chapters. Finally! Woot! June 2015 –Jewel of the Gods is slated for release at ArmadilloCon! After a year’s delay, we might just make it! Haven’t seen the cover yet, so getting a slight bit nervous. Guess we’ll see! May 2015 – I have had other news, but I’ve definitely been negligent of the site. Sigh. BUT! As of this month, the index page is now RESPONSIVE! Booyah! With any luck, the rest of the website will soon follow. YES! January 2015 – Have been rather negligent with the site… But I did update the appearances page for 2015! June 2014 – Haven’t had much to report for a few months. The day job has been all-consuming. The edits for “Jewel of the Gods” are complete. I still don’t have a possible release date. But I will make sure to keep you updated. I did put up the sample chapters at the blog, but have yet to put them at the site. If you’d like to take a peek – Chapter 1, Chapter 2, Chapter 3. The first review for Inner Demons has arrived! The review is from Coffee Times Romance. Yay! February 2014 – And Inner Demons is now also officially released as a Trade Paperback! Woohoo! 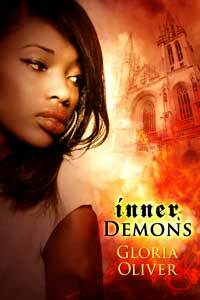 January 2014 –Inner Demons has been RELEASED! Woot! My short story “Bloody Hell” is one of the current featured stories at 4 Star Stories. December 2013 – A sneak peek of my Cornwall County Project short story is in Zumaya Publication’s Dec 2013 Newsletter. And you can find a copy of my Dec newsletter here. Make sure to sign up if you’d like to receive them in your email box! November 2013 – Got the first and then updated cover drafts for “Inner Demons”. I put up a webpage for the novel and you can see the pretty cover there. They are moving fast! Publication is slated to happen in the first quarter of 2014! Booyah! My editor has already been assigned. Looking forward to seeing how we can improve the fun! October 2013 – “Jewel of the Gods” has been contracted by Zumaya Publications LLC for publication under their Otherworlds Imprint for 2014. There will be trade paperback and ebook versions. Yes! My urban fantasy novel “Inner Demons” has been picked up by Celeritas Unlimited LLC for publication under their Mundania Press Imprint for publications late 2014 or 2015. There will be trade paperback, ebook, and audio versions available. Woot! The short story “Bloody Hell” has been picked up by 4 Star Stories for publication in their online ezine for the 2013 Fall Issue due out in late October. The trade paperback version of “Tales From A Lone Star” is now available at Amazon! *happy dance* (Soon I’ll even have copies to drag to cons! Heh heh) October has been a month full of awesome news so far! Dang! September 2013 – My writer’s group put out an anthology with reprints and also original short stories from its members! So, Tales From a Lone Star is live! Huzzah! Currently, it’s available at Amazon in Kindle and also at Smashwords in all sorts of ebook formats. August 2013 – The audio version of “Vassal of El” by IAMBIK is out! Yard Dog Press has been busy converting their titles to ebooks. Several with stories from yours truly have just been released for Kindle – The Four Bubbas of the Apocalypse, Houston: We’ve Got Bubbas, and Flush Fiction. Woot! Added icons for Kindle, Nook, Barnes and Noble, as well as Audible where applicable. Not sure why this didn’t occur to me before. Doh! July 2013 – I found out a month after the fact, but the audio version of “In the Service of Samurai” by IAMBIK is out! 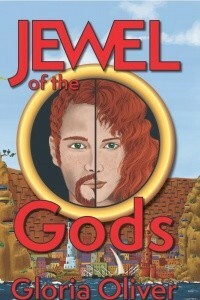 March 2013 – The novel “Jewel of the Gods” has been picked up by Zumaya Publications. Should see print sometime in 2014. Huzzah! I’ve added links for artists Charles Bernard and Tamian Wood on the links page. Why not check them out? They do fabulous work. February 2013 – I’ve added in puzzle pages for each of the novels! I have them on the medium setting and the software keeps track of how long it takes to put the puzzle together so it could become something of a competition too. Heh heh heh. Care to try your hand? Samurai, Vassal, Crossed, Price, and Willing. GO! Got some new software toys to play with, so you might see some cute eyecatchers in the covers as I figure out things to do to them. Bwahahahaha! Price Of Mercy is the first one complete. Don’t have it on an eternal loop, as that could get annoying. Heh. Let me know what you think. September 2012 – Woohoo! IAMBIK has signed me up to create audiobooks of four of my novels! Booyah! (Cross-eyed Dragon Troubles will also be made into an audiobook but through Hard Shell’s owner Mundania Press.) Woot~! Helped my daughter give her website a major overhaul. Check out her Chainmail Jewelry at ChibiChains. Looks like I am adding a new location for 2013 – All Con! Looking forward to it. Kathryn Sullivan and I were interviewed by SciFiFX while attending Fencon! The podcast interviews can be found here. May 2012 – Just signed a contract with Mundania (HardShell) to have Cross-eyed Dragon Troubles turned into an Audio Book! That’s right, an actual professional reading of the book. Not my scratchy voice! Heh. Should be cool! I now have Chapter 1 of Willing Sacrifice as a video read on Youtube. March 2012 – Trying my hand at the latest in marketing and social media – vlogs! You can see my first attempt at the craze right here. Trying to revive my Cafe Press store. Have men’s and women’s t-shirts set up now with the new “In the Service of Samurai” cover. They look kind of rad! Now to figure out how to make multiple stores so the others can have some too? February 2012 – Invites received for both SoonerCon, Fencon and Armadillo Con. Sweet! My short story “Sylvanna” the prequel to The Price of Mercy was featured at the Sci-Fi Saturday Night Blog for their Fiction Friday. January 2012 – Mailchimp newsletter is LIVE! Have done two newsletters on it now and it seems to be working. At least no one has said otherwise. Hopefully, it will be easier to sign up for it and opt out as well. December 2011 – Barnes and Noble now have the trade paperback and nook versions of In the Service of Samurai. Woot! November 2011 – Had to change the link for peeps to sign up on the newsletter. So far my MailChimp experiment has not been going well. Doh! Also added some more reviews for The Price of Mercy Reviews page. The release of the newly updated and gorgeous new cover edition of In The Service of Samurai is imminent! Book files have been sent to the printer. Yay! The new Kindle version of In the Service of Samurai has also been released. Booyah! Revamped and updated the “In the Service of Samurai” book trailer. You can see it on the Samurai page. October 2011 – Been a little lax in adding news. But then again Sept was a whole lot busier than previous ones. Found out how to indent in CSS. YAY! Plus fixed several website issues. Also added Google + to the list of places you can find me. In the Service of Samurai, the NEW and IMPROVED version, should be out 11/1/11! Woot! Just updated the info and sample pages with the new edit. Enjoy! Have also now added a Book Trailer video for The Price of Mercy! Check it out! August 2011 – Added a review page for The Price of Mercy as reviews start getting posted on Goodreads, LibraryThing, and Amazon.Some very nice ones too! Woot! July 2011 – Jeff Strand was nice enough to throw 7 interview questions at me to get me some exposure. I was quite silly. And though I tried to brownnose, he cut those parts out! The meanie. You can see the questions and answers here. In the Service of Samurai is getting a new, shiny, beyond awesome cover! The new version will hopefully be available by August. You can check it this little beauty at the samurai page. It’s AWESOME! June 2011 – The Dear Teen Me folks allowed me to share with others some experiences from my childhood. Also has a lot of links to info on Puerto Rico and Puerto Rican food. Yum! Lightning Source, which is one of the book producers used by my publisher Zumaya Publications, now has an outlet in Australia! Finally was able to figure out how to get my blog to show up on my website. So from now on, rather than going to www.gloriaoliver.blogspot.com, you can find my blatherings at blog.gloriaoliver.com! Woot! May 2011 – I’m a guest blogger over at the WordShaping blog where I talk about Why I Write Fantasy. After much procrastinating and horror, I’ve finally added a new profile picture. Don’t be scared, just me older. Lol. Added in a prequel story for Price of Mercy called Sylvanna. It’s on the Free Book Related Short Stories page. I’ll be attending the Wizard Worlds Austin Comic Con in November 2011. A new venue for me. Come to say ‘hi!’. The Price of Mercy cover is complete! Also, a publishing date has been arranged – should be available June 3rd! Woot! Also added a couple of more Artists to my links page – Alain Viesca and Rocky Kelly. Price of Mercy is almost out! Just finished going through the galley. Still waiting to see the cover. Have added Jeff Ward to my artist listing as well. The cover will be one of his. March 2011 – New Interview with moi over at Vampire Books! Added in FB Fan Page links to all the book pages so it’s easy to link to your favorite books. FB has made the whole fan pages a little weird recently. Hard enough to find the things now. Figured I’d help out. lol. February 2011 – Sample chapters for Price of Mercy have been replaced with the edited versions from the publisher. Yay! Looks like it is really going to happen this year! The publisher even informed me she has a cover artist working on the cover now. Woot! January 2011 – List of conventions and other places I will be appearing in 2011 have been updated on the appearances page. Have finally decided on a blog schedule. Mondays will be Mind Sieve – where I share links to cool blogs I’ve tripped over during the week through Twitter recommendations. From writing advice to science, to fan fun! Wednesday will be Picture Kaleidoscope – where I’ll share pics I’ve taken over the past week and also links to other cool pics I’ve run across. Friday will be the new Movie Review day! Hopefully, I can be faithful and keep these going on a regular basis. The book trailer for Willing Sacrifice is done! You know you want to see it! December 2010 – Yes! The Cross-eyed Dragon Troubles Book Trailer is complete! Check it out! Trying a new way so my blog can actually be embedded in a webpage at the site. Not sure if I will change all links to that or still send everyone to blogger… If you want to see the page it’s here. Also, the publisher for the “Ladies of Trade Town” has changed. HarpHaven Publications will be putting out the anthology rather than Norilana Books. Still has an estimated release day of 2011. My story named ‘Art’ has been officially contracted for inclusion in Lee Martindale’s anthology currently titled ‘Ladies of Trade Town’. The anthology will be published by Norilana Books. Woohoo! Added more Flash Fiction to the Free page! Bored and Old People have been posted for your enjoyment. Also placed ‘ShareThis’ links on all the pages. Let’s see if they show. Had a press release posted on the Beacon News about the Ladies of Trade Town Anthology acceptance. Woot! September 2010 – a new interview is up! Kindly posted by JL Walters at the Eclectic Writer Blog. August 2010 – Got a story accepted to an anthology – yay! Until the contract is in hand though, I don’t believe I can spill specifics. Sorry! June 2010 – Photos from A-kon 2010 are now up! Just check out my album at PhotoBucket. Just found out Michelle Muenzler, Rie Sheridan, and I appear in some vids taken during ConDFW’s Costume Contest where the three of us were judges! Don’t look! lol. Video was taken by Spaceman42. You can also see me in the Dealer’s Room Video. May 2010 –I now have a Fan Page at Facebook and a Community page at Amazon. Feel free to check them out and connect! Baring any small fixes or glitches, the website revamp is finally DONE! Booyah! YAY!!!!! Amazon UK has just enabled their version of Author Central. Guess who has her bio and pic up there now? Heh heh. March 2010 –Vassal of El now has a Kindle version! Woot! I’ve also added a link to my latest Supernatural fanfic called Unwanted Truths. If all works right, you can now download sampler files from links on the index page to view at your leisure on Kindle, Sony, and other e-book readers! Have embedded the two book trailer videos I have made so far to In the Service of Samurai and Vassal of El. Fictionwise is having a super sale on books from small/independent publishers and all my books are included. Sweet! Website conversion continues apace. Unfortunately, some of these webpage programs add in a lot of garbage I am now having to take out. Oi! February 2010 –Have decided to go ahead and upload the new pages as I get them converted rather than wait till they are all done. At the rate I’m going it might be a long time, so… Heh. Sorry for the mess. January 2010 –a new free short story called Time Machine Redux – a pastiche of The Time Machine with zombies and bubbas. Enjoy! Figured out a nifty trick to use on the drop-down menu. Give it a click and check it out! Sweet! Some bad news, the release date of Price of Mercy has been moved to 2011 from 2010. Backlog and also some possible marketing possibilities have pushed back the date. Have started work on a revamp of the website. In so doing, found a problem with my Newsletter link which has now been fixed! Doh. Have posted a preview of my new index page. (Link removed as I am going to upload page for real now as new Index 2/12/10) Take a peek and let me know what you think! And also added YA Books Central to the links page. December 2009 –Added a link to my Facebook Fan Page. Have added a new set of pages for Free Fiction. They include Flash Fics as well as book-related fics and some fan fiction for Supernatural and Gatchaman. November 2009 – Added a link on Vassal of El to the Vassal of El Book Trailer at Blazing Trailers. October 2009 – Have decided to do some craft fairs to help my daughter with her chainmail jewelry business. Not sure it will be a good venue for books, but what the hey! Also adding document tags to the web pages as I’m brushing up on HTML. August 2009 – Found a fun place to play called StoryCasting. You can search for your favorite books and match actors to play the parts. They’ve added mine, so my books are now available for casting. This is fun! Well, I thought I had paid for a table for Animefest, but seems I did not. And by the time I found out, the Bizarre Bazaar was sold out, so I won’t be there this year. My daughter who is going to the event for fun has kindly consented to take some freebie stuff there for me though. Yay! The Expresso Book Machine which can be used to print books while you wait will include titles printed by Lightning Source. This means all my Zumaya titles can be ordered at the Northshire Independent Book Store where the first US EBM has been placed. Cool! July 2009 – Added in the link to Blazing Trailers for the In the Service of Samurai Book Video. Also updated links to Patricia McCracken and her art based on In the Service of Samurai. Added Raw Sample Chapters for Price of Mercy, slated to be released in 2011. Also figured out how to fix a long time minor glitch on my pages! Yay! June 2009 –Mr. Boots, one of my cats, has an interview with Pets and Authors. He’s always getting in trouble, that one. Also, have a new interview posted at the Nights and Weekends E-Author spotlight. Cross-eyed Dragon Troubles is a finalist in the 2008 Dream Real Awards! May 2009 – I will be appearing at the Richardson Library’s Homegrown Writers Open House and Book Signing on 5/16 from 2 to 4 pm. April 2009 – Mayra Calvani has put up an interview with yours truly over at The Examiner. Been confirmed for A-kon so I will be making that convention again this year. Looks like a link on my front page was either broken into or rearranged as going directly to index page rerouted you to a non-existent page. Have stripped all the codes at the bottom and all seems well again. Sorry to anyone who got caught in that. Argh! March 2009 – IWOFA will be running their Spring Contest from March 21-28. Prizes include free e-books and gifts certificates and I’m pitching in as well as several other folks. Also, March is Small Press Month! Since I’m pretty much totally published by small presses, figured I should mention it. Heh heh. How about checking out a few? Also, I have joined another online group of authors. These guys are all about Book Trailers. Blazing Trailers is a site just for looking at book trailers — the latest way to experience and get a feel for a book. I have my In The Service of Samurai trailer there. February 2009 – Have added a new page just for fun called Wall of Weird – Coincidences. A page to list some of my strange coincidence streaks. Also, have two new reviews for Cross-Eyed Dragon Troubles from Rie Sheridan and MyShelf.com. January 2009 – This bit of news is actually a few months old, but things seem to keep dropping between the cracks for me for some reason. Anyway, all of Zumaya’s titles are currently listed at ereader.com. Why is that important? Because ereader.com sells ebooks formatted for use with the iPhone! So now there is yet another way for people to read our books. December 2008 –Willing Sacrifice has been chosen as a finalist for the Fantasy category for the 2009 EPPIES! Woot! Also, the second edition of Vassal of El has now been released. New cover, new edit, the works! There is also a new review for In the Service of Samurai from FlamesRising.com. I was also featured at Biblio Paradise and mentioned on their linked blog. Thanks, guys! December sure seems to have turned out more news filled than I thought it would be. lol. September 2008 – The Best of the Bubba of the Apocalypse is now available for purchase! August 2008 – New reviews for Willing Sacrifice. Ripple Effect is now available for purchase at Amazon. July 2008 ->Willing Sacrifice has finaled in the Dream Realm Awards! Award winners will be revealed at Armadillo Con in Austin in August. Wish me luck! I have the first of several book promo videos done. Not the greatest but what the hey. This one is for name branding purposes. You can take a peek at it here. June 2008 – The Tears of the Phoenix Project now has a cover and name. The name is Ripple Effect and has a foreword by Rachel Caine. Also, I have a new Logo! This one is all mine! I plan to abuse it thoroughly. You should be seeing it on the web pages and will start showing up on all the promo material. Yay! May 2008 – More reviews now available for Cross-eyed Dragon Troubles and Willing Sacrifice. April 2008 – The Lorelai Signal has released A Time To…Volume2 anthology with my story “Mentor for Hire”. More info available at Lorelei Signal. The first review for Cross-eyed Dragon Troubles can be found at the Mist and Stars blog. March 2008 –Cross-eyed Dragon Troubles is now available in Trade Paperback! February 2008 – The first review of Willing Sacrifice is out at My Shelf.com. The E-book version of Cross-eyed Dragon Troubles has been released and can be found at Fictionwise.com. The Trade Paperback version should see the light in another month or so. Also the Best of the Bubba Anthologies will be seeing release in August. January 2008 – New press release for Willing Sacrifice. Chapter of Willing Sacrifice is being highlighted at the Start At the Beginning Blog Spot New interview over at Teensreadtoo! The Cover for Willing Sacrifice won Best Cover of 2007 on the Editors and Preditors Poll. Houston We’ve Got Bubbas made it on the Finalist list there as well. October 2007 – New interview! This one is at Podio Media Chat. What should be the last Supernatural Fanfic for some time (I need to get back to other stuff!!!) Broken Idols is up. Willing Sacrifice is OUT! Finally – yay! So far it is only showing up at fictionwise.com, but should already be in the Ingram database disseminating to Amazon and others. Time to get the marketing going and spamming the world! Booyah! September 2007 – One more Supernatural story is up called Our Separate Ways. August 2007 – Houston: We’ve Got Bubbas has been released from Yard Dog Press! Second fan fiction story for Supernatural is Jess. 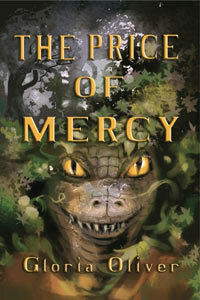 Price of Mercy has received a contract from Zumaya Publications! This will be my fourth book with them. July 2007 – Cross-eyed Dragon Troubles finally has a release date!!!! E-book version should be out sometime in Dec 2007 and the print version about a month after. HUZZAH! Added a link for Sera Gamble, awesome TV author/editor and largely responsible (along with the other writers and actors) for my current obsession. June 2007 – Have added two new convention links – Lazy Dragon Con and Shimakon both in TEXAS! Booyah! Also, to follow the degrading slope of my new obsession with Supernatural I have now added a sort of hidden page to the website for info I am compiling from the eps and also a few other useful links. Willing Sacrifice chapters have been updated with what may well be the final edit. Pen name for fan fiction is up and so is a story for Supernatural called Sacrifice of the Heart. May 2007- Have added my very first obsession to the links pages – the TV show – Supernatural! If you’ve never seen it, I highly recommend it! April 2007 – I have now become part of the Rambles.net group of book reviewers. Have also added links for them and the House of Dra, which is a homemade clothing group with the coolest embroidered shirts ever, in the links page. My short story “Mentor for Hire” will be appearing in the July-Sept Issue of the Lorelei Signal web magazine. Woot! March 2007 – The Madten blog (which includes moi) will be doing a contest during read an e-book week March 4-10th. Come read the blog and the posted book passages, answer the question after in the comments section, and you are instantly entered! I believe Zumaya will also be doing something for E-book week, and I will post the details when I get them. February 2007 – Have just been confirmed as a guest for Conestoga 11. Yard Dog Press always makes a big splash here and after getting put on Lynn’s list 3 times last year I figured I am meant to go! lol. Added David Hopkins to the links list. Prolific comic book author and father. Met him at my niece’s birthday party. Nice to meet you David! Also added Christopher Stires, Jinx Schwartz, and Pepper Smith – Read some awesome books by these folks! January 2007 – Jennakay Francis has been added to the links list. She is a Fantasy author. She will be having some interview questions and an excerpt from “Vassal of El” in an upcoming newsletter. Also, I have joined a number of other Zumaya authors and we’re about to start a promo group as well as a blog called It’s a Mad, Mad World. December 2006 – Zumaya Publications is having a contest to name their new upcoming Romance Imprint. They’ve set up a poll with ten names thought up by the authors. Poll will close on Dec 15th but everyone who votes will get a chance to win – Three will win a gift card worth $100, $50 or $25 provided by Zumaya authors, as well as some special personal gifts the authors are lining up as we speak. Not only that, we’re offering five holiday-themed ebooks—three for adults and two for kids—free for the duration of the poll. To vote go to http://groups.yahoo.com/group/name_that_imprint So, even if you don’t read romance, come to Name That Imprint and let us know which of the names tickles your fancy. The Sci-Fi Traveling Road Show is holding a favorite author poll for authors who have been featured on the show. So go on over there and vote! The winning author gets a nifty banner at the site and bragging rights. Woot! All shows are free MP3 downloads. November 2006 – Updates and additions to websites like My Space, Frappr, and Tagged. September 2006 – My short story “Moonbase” has been accepted by Yard Dog Press to be part of the next book in the hilarious Bubba anthology series – Houston, We’ve Got Bubbas! Woot! Have added links for Nuke-Con, IkkiCon, and Serdar Yegulalp on the links page. August 2006 – New review for “Vassal of EL” by Dr. Bob Rich. July 2006 – “In the Service of Samurai” is now available in a serialized format as Audio MP3 files! Chapters 1-5 have been uploaded to Podiobooks. The files are free, though the site will take donations. A new way to read/listen to some great books! Uploaded some pics for my trip to Comic Con 2006! Blog entry for the trip. And Ten Ton Hammer accepted a write up for the SOE Block Party I attended while I was out in San Diego. Also, I have joined the mobs and added a MySpace website! A new interview is available in MP3 format from The Sci-Fi Traveling Road Show! June 2006 – Flash Fiction reading on the Sci-Fi Traveling Show – Yes, part of the interview session is out, this one my reading of a Flash Fiction piece. Go have a listen! Patricia McCracken, who graciously did three pieces based on my novel “In the Service of Samurai” has been interviewed by The Thunder Child. What’s truly neat is that they found her through my promo! lol. So I get a very nice mention at the site. Sweet~! The short story “Final Kiss” has been accepted for publication by Mundania Press, LLC. This will be an e-book download stand alone. A new concept being tried out by the publisher. I will be interviewed and have a flash reading on the SciFi Traveling Show on May 21st. Not sure when it will air but will keep you updated. 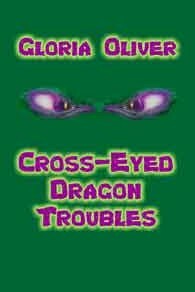 September 2005 — Hardshell Word Factory has accepted my novel “Cross-eyed Dragon Troubles” as one of their latest YA titles. Publication should be sometime around June 2006! Huzzah! July 2005 — “Willing Sacrifice” has been turned in after beta reading and one last go round. Publisher expects the book to be available sometime in 2007. Disabled Paypal shopping cart as there seemed to be some issues. February 2005 — Have been accepted to participate in the 4th Annual Plano Book Festival on March 6th. Benefits Adult Literacy. January 2005 — I am now an official guest at ConDFW 2005! I’ve also now set up a Paypal Shopping Cart for anyone wanting to buy their books directly from me and autographed. It will accept credit cards! And, if I get all this done on time–a major revamp of the website! December 2004 — Vassal of El is a finalist for the 2005 Eppie Awards! Whoop! August 2004 — Had 3 short stories accepted for the Small Bites anthology put together to raise funds for the medical expenses of famed horror writer Charles Grant. Preordering available before the 9/1/04 expected release. February 2004 – Release of Wings of Angels delayed. Hope to see it end of Feb beginning of March. Also looks like the title will now be “Vassal of El” and there’ll be a new cover. The story “Surfing USA” has been accepted into Jeff Turner’s CD Anthology called Fundamentally Challenged. January 2004 — In the Service of Samurai has made the finalist round for the 2004 Eppies! Yay!!!!!! November 2003 — Sample chapters are now online for Wings of Angels. Looks like publication date will be January 2004! Also, I have been added as an official guest for both Fencon and Itzacon. An interview has been added from Sell Writing On Line. October 2003 — Finally have been appointed an Editor for Wings of Angels! Should be released early 2004 for sure. July 2003 — Publicity campaign ho! Hoping it pans out! More reviews for In the Service of Samurai. June 2003 — The story “Bubbas of Troy County” has been accepted into the Bubbas of the Apocalypse anthology which will be available soon from Yard Dog Press. May 2003 — New reviews at My Shelf.Com and the Washington Science Fiction Journal. January 2003 — Zumaya Publications has now obtained the e-book version of their books in 5 e-book formats which are being sold directly from their website at substantial savings for consumers and more royalties for both Zumaya and the writers. Eternal Night has uploaded samples of In the Service of Samurai and an interview. December 2002 — “In the Service of Samurai” has finally been released for publication!